Different contract for difference (CFD) providers have different methods of dealing with dividends, which will have implications for your tax liability and profits.If you are long a position and the company you are trading issues a dividend, your CFD provider will pay the dividend into your CFD account in cash. If, however, you are short a company that issues a dividend, you owe the dividend amount to your CFD provider. This is because you borrowed the share from your CFD provider, who is missing out on the income they would have earned had you not borrowed and sold the share. 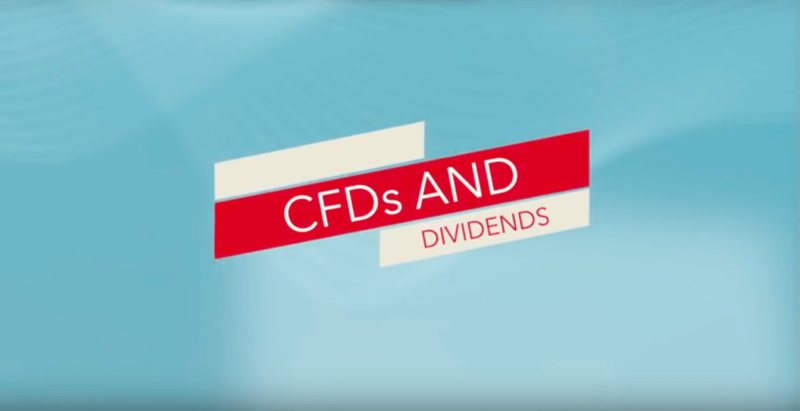 In this video, Simon Brown explains why the dividend receiving date might not always be clear when you trade CFDs. He also explains how dividend withholding tax could affect our planning when trading CFDs. Some providers cede the dividend directly to you, which means you’re only liable for the 20% dividend withholding tax. However, if your CFD provider is not ceding the dividend to you, the income will be taxed at your marginal tax rate. Depending on your income this could be as high as 45%.